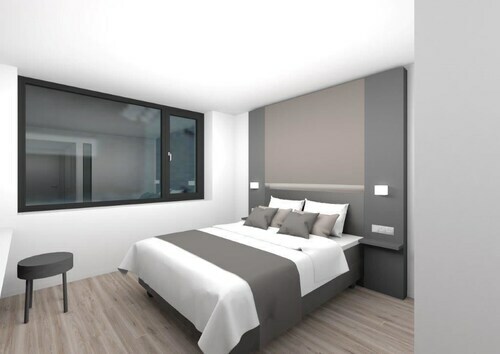 Thought about locking in a Bocholt vacation package? It's a breeze with Expedia, and you'll be able to buy some fancy dinners or souvenirs for your friends back home with the cash you save. You don't need to search through a whole bunch of websites for your travel needs. With more than 400 partner airlines and 321,000 properties worldwide, our global database has got it all. You don't have to worry about postponing your travel itinerary, as we don't charge additional cancellation fees for almost all of our hotel bookings. Getting ready to jet off on your Bocholt vacation? Wondering what sorts of things to put on your travel itinerary? Don't stress — we're here to give you a few suggestions. We hope you remembered your swimwear! Whether you’re into white-knuckle water slides, bobbing down lazy rivers or wading in paddling pools, Inselbad Bahia Water Park is an awesome day out for the entire family. Travelers in this destination have an abundance of choice. It's often said that knowledge is power. With that in mind, you're sure to feel a little more powerful after a day at Bocholter Handwerksmuseum. Still have time to spare? Listen to birds chirruping and observe the light gleaming through the branches at Bocholter Stadtwald. This verdant wonderland is an absolute treat for the senses. Expedia currently doesn't have any property listings for Bocholt. However, you'll discover a few places to stay in IJzerlo, which is 4 miles (6 km) away. The best options in IJzerlo are the Hotel Krasemann and Hotel Restaurant Nienhaus. Getting ready for your trip to Bocholt? Wondering where you'll be flying into? Duesseldorf International Airport (DUS) is the most convenient terminal. Once you've hit the tarmac and strolled out of the arrival gate, you'll be 40 miles (64 km) from the downtown area. Situated in Bocholt, this hotel is within 3 mi (5 km) of Bocholter Handwerksmuseum, Bocholt Historic Town Hall, and St. Georg's Church. Kunsthaus Bocholt and City Museum Bocholt are also within 3 mi (5 km). Situated in Bocholt, this property is within 3 mi (5 km) of Bocholter Stadtwald, St. Georg's Church, and City Museum Bocholt. Anholt Moated Castle and Boogie Woogie Foundation Institute for Arts and Culture are also within 12 mi (20 km). 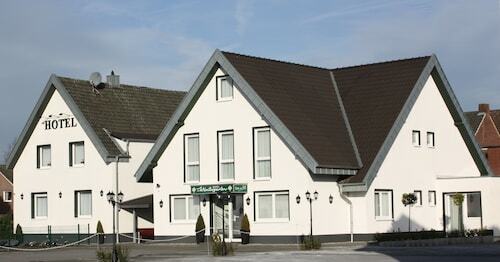 Situated in Bocholt, this hotel is close to City Museum Bocholt and Bocholter Stadtwald. Regional attractions also include Anholt Moated Castle and Boogie Woogie Foundation Institute for Arts and Culture. Located in Düsseldorf Government Region, this hotel is 0.9 mi (1.4 km) from Willibrordi Cathedral and 1.3 mi (2.2 km) from Wesel Citadel. Xanten Market Square and Trabrennbahn Dinslaken are also within 12 mi (20 km). 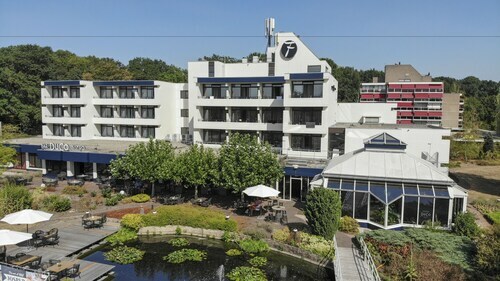 Located in Düsseldorf Government Region, this hotel is within 1 mi (2 km) of Kleve Forest Garden, Museum Kurhaus, and Kleve Zoo. The Schwanenburg and Collegiate Church are also within 2 mi (3 km). Kleve Station is 26 minutes by foot. 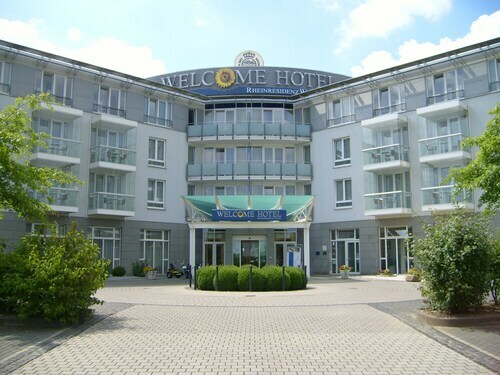 Situated in Bottrop, this hotel is 3.1 mi (4.9 km) from Beck Castle and within 6 mi (10 km) of Movie Park Germany and Jewish Museum of Westphalia. Alpincenter Bottrop and Wittringen Castle are also within 12 mi (20 km). Located in Düsseldorf Government Region, this luxury hotel is 7.1 mi (11.5 km) from Schloss Raesfeld and 7.3 mi (11.7 km) from Kornbrennerei Bockenhoff. Museum Schloss Lembeck is 14.7 mi (23.6 km) away.